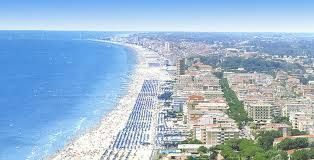 Jesolo is a town in the province of Venice, located on the coast of the Adriatic Sea and an Italian seaside resort among the most known and appreciated for the services offered and the nature that surrounds it. Synonymous with sea, sun, golden beach with its 16 km long, holiday, relaxation and fun, Lido di Jesolo is located in a strategic position, which embraces landscapes and varied: from the lagoon, the mountains, the historic towns and art a few steps. Venice is easily reached by various means. You can get there in less than a quarter of an hour by car from Punta Sabbioni, guarded leave their vehicles in the designated parking and take the ferry to the famous lagoon city or a stop at the Venice Lido, especially in the period of late August early September to follow closely the glamor and novelty, always interesting, the movie theaters around the world, the Venice film Festival in Venice. Jesolo Lido is also a great place for boating enthusiasts. Located 11 miles from Venice and 40 miles from the Croatian coast, the Jesolo port provides a mooring ideal for sightseeing in the northern Adriatic, equipped with 488 berths near the river Sile. Lido di Jesolo is full of tourist services: beaches with umbrellas and cabins, bars of all kinds, local for nightlife, a highly popular water park, hotels, camping, restaurants, shops, spas, sailing schools, schools of diving and cycling routes to discover the territory. There are also free beaches, where you can stand with your umbrella without hiring out to force one. It is also a town rich in interesting events organized for the summer.